What is meant by "The Triple Goddess"? There is no simple way to answer these questions. 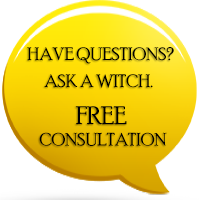 As we have stressed time and again, Wicca is very individualized. The faith does not discriminate based upon how many deities you believe in, or how you worship them. In fact, there are a growing number of Atheist Wiccans who believe in no deity at all. For the most part, Wiccans are joined by their interest in the Occult and Magick, their reverence of nature, and their optimism in mankind. However, amongst those who find it easier to categorize, Wicca is classified as a Neopagan religion. In older times, Pagan referred to the rustic folk who avoided the influence of monotheistic religions such as Christianity. Because these monotheistic religions became widespread, pagan has been associated with polytheism - meaning the worship of many deities. It is true that some Occultist sects believe in many deities, whose functions are as wide-ranging as those in Ancient Greece or Europe. But the more widely held notion amongst Wiccans takes a duotheistic approach. Utilizing the concept of polarization, that everything in the Universe exists with an opposite, the dualistic approach puts forth both a God and Goddess as counterparts that both complement each other and balance one another out. 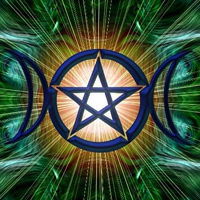 Many Wiccans personify these opposing forces through the Triple Goddess and the Horned God, also known as the Moon Goddess and the Sun God. So how can the Goddess be three different entities within one? To complicate matters even more, because the Triple Goddess is considered to be the creator of all, it was she who brought life to the Horned God. Thus, rather than these two being separate entities, the Horned God is encompassed within the scope of the single deity, the Goddess. Therefore, is it really a quadruple Goddess? 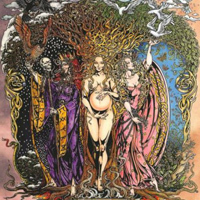 The Triple Goddess is said to be the mother of everything, and represents nature, fertility, the life cycle, and any or all other attributions that a deity is given. She is said to be a Triple Goddess due to the three major phases in a female’s life. She begins as the young maiden, innocent and pure of heart. She then becomes the loving mother, giving life and accepting the nurturing responsibilities of raising the young. It is at this phase that she is said to have given life to the Horned God, who then becomes her opposite, a necessary component for balance within the Universe. Then, in her final phase, the Goddess becomes a crone, no longer able to bear children but possessing boundless wisdom, and capable of passing her knowledge down to others. The Triple Goddess not only represents the female life cycle, but the coming and going of all that our senses perceive - the seasons, the tides, her son, the sun. I hope that this helps to clarify some essential tenets of Wicca. This Neopagan religion can be polytheistic, as were Pagans of old. But the more prominent viewpoint is a sort of monotheism, in which the single deity gives rise to another. Thanks for this clarification between Wicca & Pagan.. But I have a question, Pls is there Really a Mistake in this World? I would like to know what's in my future regarding love and money? Please i will like to have contact with this tripple Godess to be my God. Although we do not offer readings on our website, you can check out our horoscopes which are updated daily.